11.12.2018: Spotlite Claims 2018 Xmas Message and Opening Hours! 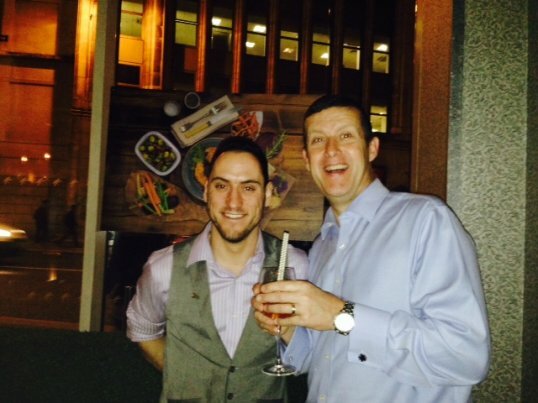 Spotlite Claims raises money for Anthony Nolan Trust - check out the pics. Demystifying Artists' Contracts and Liability in the event of a shoot interruption or abandonment. 19.03.2015: Spotlite Claims launches "Lunch and Learn"
– a series of lunchtime training sessions for staff & clients. 01.12.2014: Another New Team Member?! 17.10.2014: Spotlite Guests Concoct the Autumn Sunrise! 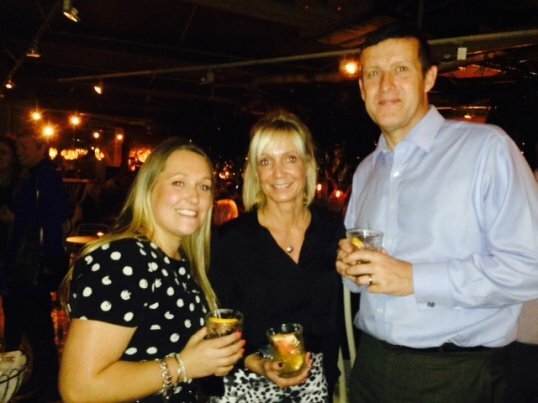 Spotlite hosted the perfect evening - a combination of education and drinking as their clients learnt how to make cocktails. Check out the photos! Find out how new IT systems at Spotlite Claims may affect you. 10.09.2014: Spotlite Team Wet T Shirt Ice Bucket Challenge! The full Team at Spotlite submitted themselves to an Ice Bucket challenge to raise money for a good cause - pictures attached. 22.08.2014: Spotlite Claims Golf Day - winners all round! The golf day at picture perfect Brocket Hall this year was branded a resounding success. Find out who won what! Two new key members of staff have joined Spotlite to bolster the team as the work continues to grow. Our offices will be closed from midday on 24th December until 2nd January 2014. We can be contacted, however, by e-mail and mobile. Spotlite is now a proud supporter of The Old Vic Theatre. 15.03.2013: Let Them Eat Cake! A big thank you to everyone who supported our Comic Relief Cake Sale, which raised a fantastic £150! In February we welcomed another new member of staff, Anette Stople, who joins us as an Adjusting Assistant. New Year - New member of staff! Our offices will be closed from midday on 24th December until 2nd January 2013. We can be contacted, however, by e-mail and mobile. Please check out our Services Page for details of the new product lines we are now able to handle. Photos of our Corporate Sailing Day on 17th August are now available to view. Read about the day and see the pictures below. On 9th July we welcomed a new Adjuster, Scott Reid, to the Spotlite Team. Scott is an ex-Broker and experienced Property Loss Adjuster. Spotlite Guests Concoct the Autumn Sunrise! 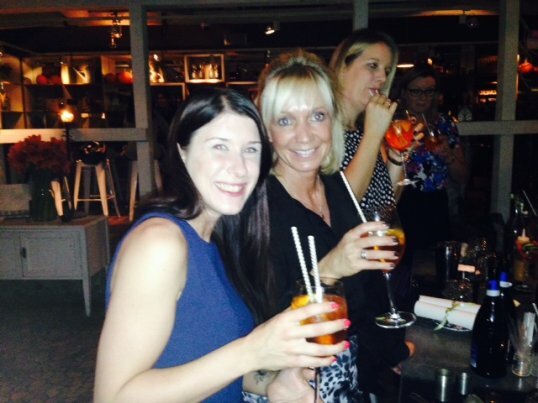 Spotlite Claims hosted a Mixology evening for clients who wanted to add an "ology" to their qualifications. By the end of the evening our guests were true scientists of cocktail making. Our first event of a similar vein earlier in the year went down so well with our guests that we held a reply in October . 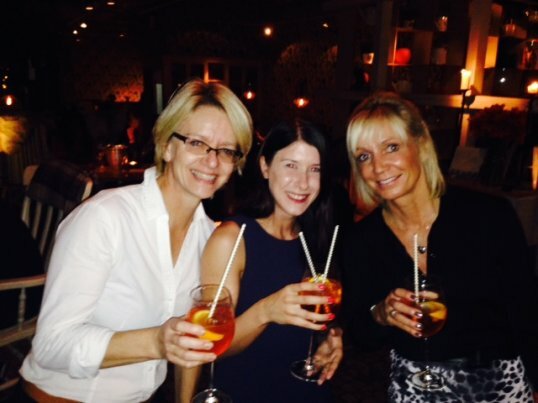 Our guests learnt how to make an "Aperol Spritze" and an "Autumn Sunrise" cocktail. We are pleased to announce that everyone passed with an "A" grade and will be adding Mixology to their CV's forthwith. No training was provided on how to consume the cocktails once made and a follow up course in Emetology was quickly completed and passed with flying colours!